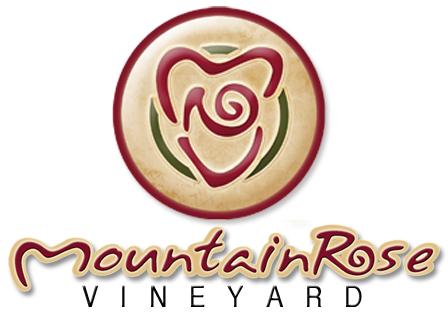 MountainRose Vineyards would love to make you a personalized gift basket. Send a personalized basket to your mother for Mother's Day, someone special on their birthday, Christmas, or any other special occasion. 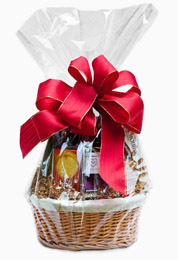 Our goal is to make your gift basket one that will leave a lasting impression of thoughtfulness and love. We offer a variety of items that you may choose to customize your gift basket including wine, jams, candles, crackers, chocolates, and much more! Gift baskets usually range in price from $25 to $125, depending on the items you hand pick for its contents. Plus, we're flexible and creative! You can give us a price point such as $50, and we can choose items for your basket to suit your budget. You can also have us pick the items to include in your basket to make it full and appealing, which could include local items such as jellies and fruit when in season. Did we mention that everything can be customized? We usually use baskets for containers, but we can also use gift boxes, backpacks, and other unique items to make your gift special and just from you. Seasons change and so do our hand-tied bows, which give our baskets the perfect touch! We specialize in holiday and wedding baskets. We have done as many as 50 baskets on one order, but we'd love to create your unique individual order as well. Let us create a unique gift for your friends. Click on the link below and you will find an order form that you may use to select items for your basket or you may choose some of your favorite items from the list, such as the wine, and ask us to make one up to a certain price. You can then call in your order, fax, or email it to us for processing.